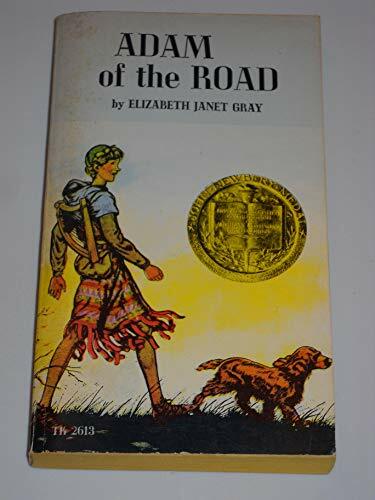 Adam of the Road is a novel by Elizabeth Janet Gray. 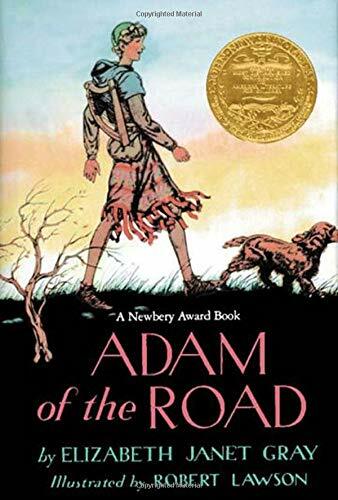 Gray won the Newbery Medal for excellence in American children’s literature in 1943 for this the book. Set in thirteenth-century England, the book follows the adventures of a young boy, Adam. After losing his spaniel and minstrel father, Adam embarks on a series of escapades throughout medieval England. Readers are given an accurate portrayal of medieval culture and society. The book is illustrated by Robert Lawson. Help us by clicking a link and adding any item to your cart at Amazon within 24 hours, and we will earn a small referral commission. Below are search results for Adam of the Road by Elizabeth Janet Gray at Amazon. You can visit Amazon to customize this search. Below are search results for Adam of the Road at Alibris. You can visit Alibris to customize this search. 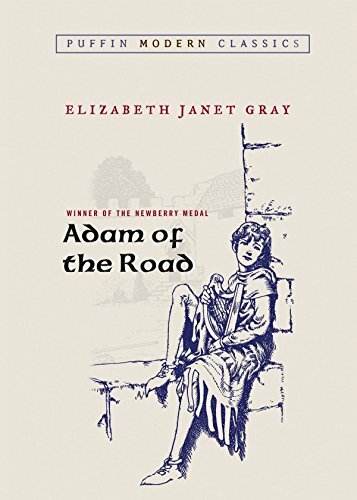 Below are search results for Adam of the Road by Elizabeth Janet Gray at AbeBooks. You can visit AbeBooks to customize this search. Below are search results for Adam of the Road audiobooks at iTunes. Browse iTunes to customize this search. Eleven-year-old Adam loved to travel throughout thirteenth century England with his father, a wandering minstrel, and his dog, Nick. But when Nick is stolen and his father disappears, Adam suddenly finds himself alone. He searches the same roads he traveled with his father, meeting various people along the way. But will Adam ever find his father and dog and end his desperate search? Wes Miller grew up in the shadow of the Atlantic Coast Conference, college basketball's most powerful league. But as a high school senior, none of those elite programs offered him a scholarship - they thought he was too small and too slow. After a year at a mid-major program, he chose to attend North Carolina without a basketball scholarship. Over the next four years, Miller's hard work resulted in a major role on the Carolina team. He earned a starting spot as a junior, displacing more highly touted players. He began his senior year with a mission - to chronicle all aspects of his final season in Chapel Hill. Off the court, it is a glimpse of a life few will ever enjoy. At a basketball-crazy school like the University of North Carolina, basketball players are the Beatles. On the court, Miller had to find his place in one of the most talented Carolina teams in history. This is the story of his senior year in his own words, as he takes you inside the locker room, on the court, and behind the scenes in the most unique audiobook about one of the most famous college sports dynasties of all time - Carolina basketball. A group of thrill seekers learn that looking for terror is a whole lot more fun than finding it in Adam Light's "Ghost Light Road", a short story selection from Bad Apples: Five Slices of Halloween Horror. Spanning England's most turbulent and dramatic decades-from the 1520s to the 1640s-Quarrel with the King tells the story of four generations of one of the greatest families in English history, the Pembrokes, and follows their glamorous trajectory across 130 years of change, ambition, resistance, and war. As he tells their story, Adam Nicolson reveals how a struggle for dominance began as the English crown slowly grew in strength and power, which evoked questions of loyalty that would simmer for decades. Was government about agreement and respect or authority and compulsion? What status did traditional rights have in a changing world? Did a national emergency mean those rights could be ignored or overturned? These were the questions that, in 1642, would lead to a brutal civil war, the bloodiest conflict England has ever suffered, in which the Earl of Pembroke-a devout subject-had no choice but to rebel against a king he believed had betrayed him and his country. Highlights presents A Road to Freedom: The Life and Work of Frederick Douglass written by Adam Healey. This biography of Frederick Douglass details his trials as a slave and his dedicated work as an abolitionist. Frederick Douglass challenged society's views on slavery and encouraged others to do the same through his speeches and writings. Being a student at Americus High School was the worst experience of Greg Wittkamper's life. Greg came from a nearby Christian commune, Koinonia, whose members devoutly and publicly supported racial equality. When he refused to insult and attack his school's first black students in 1964, Greg was mistreated as badly as they were: harassed and bullied and beaten. In the summer after his senior year, as racial strife in Americus - and the nation - reached its peak, Greg left Georgia. Forty-one years later, a dozen former classmates wrote letters to Greg, asking his forgiveness and inviting him to return for a class reunion. Their words opened a vein of painful memory and unresolved emotion, and set him on a journey that would prove healing and saddening. It was Easter Monday, 1952. It was a day like any other. The slat truck rolled into camp with half a dozen new convicts. I counted a couple of vagrants, one drunk, one assaulter and one assaultee. All of that and Olan Walker. Olan Walker was first out of the slat truck and he could have slid through one of the slats. That man was nothing but lank. He was as lean as a dog in Lent. He was as lean as hunger poured thinner than a spoon full of prison soup. He looked like he ate nothing but wind and shadow all his life. If there was a king and queen of skinny; a duke of raw bone, an earl of gaunt, and a prince of scrawny - well Olan Walker was the lord high ruler of them all. It didn't take too long before we all found out what Olan Walker really was. Olan Walker was a conjure man. Fans of haunting southern gothic horror stories will want to give this one a listen. Below are search results for Adam of the Road ebooks at Apple Books. Take a Christmas break and sit down with pastor and best-selling author Adam Hamilton as he guides you through a four-week devotional based on the most joyous event in history. Created for individual use or as a companion to the primary book, The Journey: Walking the Road to Bethlehem, you’ll find short, reflective devotions combined with Scripture readings and heartfelt prayers. Each daily devotional is designed to draw you in to a closer fellowship with God as you reflect and respond to this Christmas season. The Journey: A Season of Reflections is a great gift idea for family, friends, teachers, and ministry leaders. Spanning the most turbulent and dramatic years of English history—from the 1520s through 1650—Quarrel with the King tells the remarkable saga of one of the greatest families in English history, the Pembrokes, following their glamorous trajectory across three generations of change, ambition, resistance, and war. With vivid color and fascinating detail, acclaimed historian Adam Nicolson recounts the story of a century-long power struggle between England's richest family and the English Crown—a fascinating study of divided loyalties, corruption, rights and privilege, and all the ambiguities involved in the exercise and maintenance of power and status. In his thirteen years as Vicar, popular author David Adam welcomed over 1 million pilgrims to the Holy Island of Lindesfarne in Northumberland. Each pilgrim had a story to tell and each came for a different reason. Some radiated a sense of God's presence, and others were simply too hurried to do anything but look around quickly and move on to the next site. Using the stories of pilgrims Adam encountered on Holy Island, he explores how we can approach our own lives as pilgrimage, without ever leaving the comfort of our homes. How can we move beyond what is safe in our world and encounter the Mystery? How can we learn to disconnect from all the technology that keeps us multi-tasking all day and all night? How can we rediscover awe in the world around us? In the wonderful prose and poetry for which he is so well-loved, David Adam helps us get on the road of life, even when we don't have time to travel to distant lands. Dès 21 ans, sa première mission avec Médecins Sans Frontières en 1991 le plonge au cœur des réalités les plus dures dans un camp de réfugiés kurdes en Iran. Ses missions, au gré des années, le mèneront en Roumanie, en Mauritanie, au Yémen, puis en Afghanistan. Nous suivons son cheminement de pays en pays, suivant la trace de Mouaïn. Why do serial killers gravitate towards certain kinds of occupation? Why do they pursue certain types of victim? 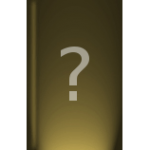 How do they leave the radar and remain hidden? Through his wide knowledge of the topic honed at one of Britain’s leading centres for criminological studies, Adam Lynes demonstrates how theory, practice, profiling and behaviour intertwine to identify the kind of people we should fear (and especially if we are vulnerable to predators). The book also looks at those personality-types most likely to become serial killers whilst hiding in plain sight. From Britain’s serial killing studies centre of excellence. Looks in depth at eight of Britain’s serial killer drivers, dealing with some of the most notorious crimes of modern times. A fresh and uniquely interesting perspective. Demonstrates the links between mobility, transience, recognisance, predatory behaviour and acting out murderous fantasies. "It is apparent that driving as a form of occupational choice is a “popular” form of employment for British serial murderers. In an effort to determine why this may be, [ the ] case studies of eight British serial murderers [ in the book ] demonstrate just how such an occupation can impact upon these offenders’ criminal behaviour…These findings may prove to be of benefit to scholars of serial murder, and to those who attempt to apprehend them." Adam Lynes is a Lecturer in Criminology at Birmingham City University and Deputy Head of the Homicide and Violent Crime research cluster within the Centre for Applied Criminology. His publications include Serial Killers and the Phenomenon of Serial Murder (2016) (with David Wilson and Elizabeth Yardley), Waterside Press and related articles for legal journals. He has also written about other forms of violence in ‘A Taxonomy of Male British Family Annihilators, 1980–2012’ (2014) (with Elizabeth Yardley and others), Howard Journal. This is his first book as sole author based on his central area of research.